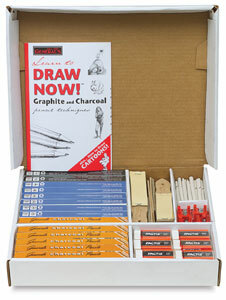 Get more than 250 separate, high quality drawing pencils, erasers, and materials at an unbelievable price. It's no wonder that the Sketchmate Pack has been a favorite gift for parent groups seeking to support their school art programs. What a great value for the art teacher!